The statistics are alarming: More than 40 percent of small businesses that experience a disaster, whether natural or manmade (i.e., a data breach) never recover and end up going out of business within a year. There are several reasons for these failures, ranging from the high costs associated with disaster recovery to the business owner simply deciding to move in a different direction. However, one of the most common reasons for a business’s failure to bounce back after a disaster is poor planning. 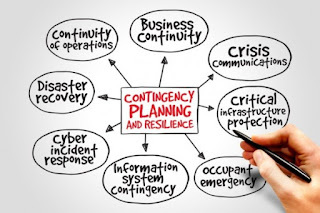 A comprehensive disaster continuity or recover plan is vital to staying in business after things go wrong, but all too often, small businesses either do not have a plan at all, or have a plan that is inadequate or plagued by serious errors. If you are a small business owner and you do not have a disaster continuity plan based on a careful risk analysis, it’s important that you put one together right away. If you do have a plan, take the time to review it and determine whether any of these mistakes need to be corrected. Disaster planning is not something that you can do once, check off the list, and forget about. As your business grows and changes, so should your disaster plan. Ideally, your plan should be reviewed at least annually (if not more often) to ensure that it accurately reflects your current status, addresses all potential risks, and is accurate in terms of contacts, procedures, and equipment. In the event of a disaster, a plan that contains outdated contact information or an incomplete list of equipment is not going to do you any good. Any plan can look good on paper. But unless you test the plan to be sure that it works, you could be setting your company up for failure. Conducting both planned and “surprise” drills based on a variety of scenarios that could potentially affect your company allows you to determine which parts of the plan work and which need some refinement or changes. With testing, you also help improve the “people element” of the plan. Often, the weakest aspect of any disaster plan execution are the people involved. When your team doesn’t understand their roles or have the skills necessary to execute the plan, the plan falls apart. Testing identifies these deficiencies so you can correct them before a real disaster. You know your business better than anyone else. That doesn’t mean, though, that you have insight into every possible thing that could go wrong and how to mitigate those risks. Even if you have an IT department with responsibility for developing the plan, it shouldn’t fall entirely to them. Because disaster recovery involves all mission critical applications and data, planning needs to involve leaders from all aspects of your company, who can help identify and prioritize the aspects of your business that need attention in the event of a disaster. Most small businesses are also well-serve to work with outside IT and disaster recovery consultants who can help develop a plan that addresses all needs and priorities. Working with a Virginia IT services company will avoid gaps in your plan and ensure that it’s properly developed and tested. In the event of a disaster, you can never be certain who will be available to implement the plan. What happens if disaster strikes while you are on vacation, and you’re the only person with knowledge of the plan or authority to carry it out? Even if you only have a few employees, you need to create a disaster recovery team, in which everyone understands the plan and can put it into motion if necessary. If you are a sole proprietor, this is where working with an IT consultant or managed IT services firm comes into play, as they can begin the recovery process, often before you even have a handle on the scope of the problem. 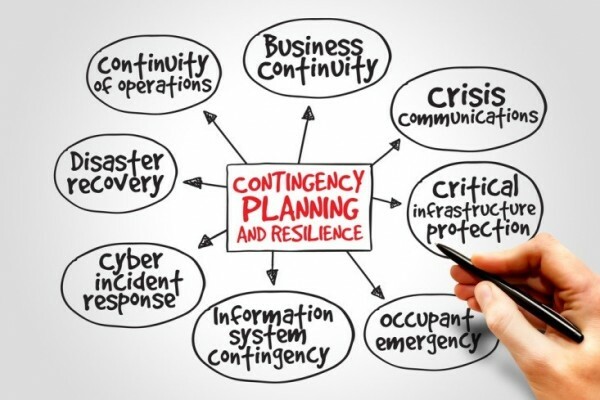 Identifying all possible risks is a cornerstone of disaster continuity planning. It’s always the disaster that you didn’t plan for that destroys your business, so take the time to conduct a thorough risk analysis. While the likelihood of some scenarios may seem small, the consequences may not be, so it’s important to identify and plan for everything. No one likes to think about the possibility of things going wrong, but they can and often do. Investing the time and resources into planning now can prevent devastating consequences if disaster strikes, and avoiding common mistakes may even make the difference between lost profits and productivity and no consequences at all.